Enterprises, the Group’s conglomerate operating across six core sectors. Badr is active in a variety of industries including ports and logistics, serving as Chair of the Executive Board of Gulftainer (the world’s largest private container port operator). 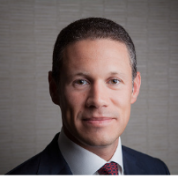 He plays an active role in private equity initiatives, serving as a member of the boards of The Abraaj Group (UAE) and GrowthGate Capital (Bahrain). for Employment (EFE), the Global Honorary Board of the Cherie Blair Foundation for Women, is a member of the Synergos Arab World Social Innovators (AWSI) Program Board of Governors and is a Founding Board Member of Endeavor UAE, an initiative encouraging high-impact entrepreneurship. member of the Research and Innovation Advisory Council for The Centre of Excellence for Applied Research & Training (CERT) at the Higher Colleges of Technology in Abu Dhabi. As a keen advocate of the arts, he is an appointed member of the Guggenheim Middle Eastern Circle, the Artistic Director’s Circle of The Old Vic Theatre Trust, and co-founder of the Middle East Theatre Academy. In 2014, Badr was awarded the Gold Medal in the Arts by the Kennedy Centre International Committee on the Arts for his work to bridge cultures through music and theatre. Badr is a member of the Young Presidents’ Organisation, serving as Ex-Officio Chair of the YPO Emirates Chapter. Badr was honoured as a Young Global Leader by the World Economic Forum and is Vice-Chair of their Global Agenda Council on Energy Security. Teachers have the potential to contribute more to the future of our societies and economies than any other profession.